A popular game at office casino parties and Monte Carlo nights is roulette, however, it can be a bit intimidating to play. Your friends at Aces Up Casino Parties are here to give you some ideas for making the most of our roulette tables, both in terms of fun and strategy! Some of the best advice you’ll ever get for playing and winning at a roulette table is to do so with a betting system. There are a wealth of systems online, many of which can be tailored to your own style of play. All bets have a house edge built-in, however, some of them are worse than others. Of all the possible bets on a roulette table, never choose the five number combo 0-00-1-2-3. At a 7.89% house edge, it has the worst odds on the table! Also, avoid betting all of any one “category” such as black and red, even and odd, etc. – by doing this, you are guaranteeing you will never win! If you’re someone who really enjoys playing roulette and prefer a lasting experience, focus on wagers that pay out evenly, also known as playing the “outside.” By betting on things such as red or black, even or odd, 1-18 or 19-36, your payouts will always be even-money and your chip stack is guaranteed to last longer! Whether you’re a seasoned roulette player or new to the game, Aces Up offers a great roulette experience for your party or event. Visit our website for our current Internet Specials or to Request a Proposal today! This entry was posted in Blog, Roulette, Uncategorized and tagged Aces Up, Aces Up Casino Parties, betting, Casino Parties, gambling, Roulette. The end of the year is fast-approaching and, if you’re like everyone else, you probably haven’t given any thought to the holidays. What presents to buy, which relatives to visit, what to cook for holiday dinners…these are all things that will keep you busy once the time is near, but one thing really shouldn’t wait that long: planning your company’s holiday party. You probably don’t want to think about work when it comes to the holidays, but if you’re tasked with planning your company’s office parties and events, then it pays to think ahead. November, January, and especially December are peak months for the events industry (especially casino party companies.) Friday and Saturday evenings during these months are extremely busy for most event companies, so begin planning during the summer months to help ensure you have access to the venues, caterers, DJ’s, casino companies(! ), and other vendors you prefer. You should first find a location for your event: think about the type of party you’re trying to hold for your employer and what activities you have planned. Do you want a hip, fun place to party, like a nightclub or bar and lounge? A more elegant and serious setting like the Ritz or a restaurant on the water? How about size? Do you need room for 2000+ people or a small space for just 50-60 guests? Locating a venue that works for your event is a big part of the work that goes into event planning; once this part is decided, the rest usually falls into place nicely. After selecting your venue, you’ll want to focus on the food and entertainment for the party. Most larger venues offer their own catering, but others do not. There are plenty of caterers in the San Francisco Bay Area to choose from, but again, they’ll book up fast for the holiday party season. Along with caterers, entertainment companies are also really busy during the later months of the year. Secure your entertainment early, so you don’t rush around at the last minute looking for someone to fill in. Since a big part of what DJ’s, bands, and casino companies provide is their staff, they don’t always have a lot of inventory to work with. It’s not as easy as pulling rental items out of storage to bring to your event – they actually have to have fun and friendly people to provide you with as well. By booking well in advance, you ensure you’ll get the best staff the vendor has to offer! 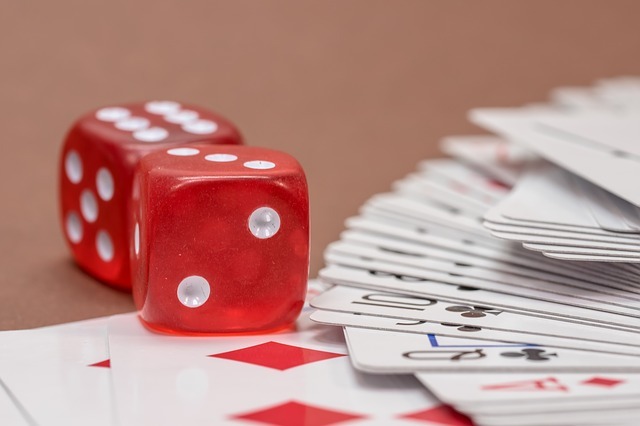 While we love to gamble, it doesn’t pay to roll the dice when it comes to event planning: Don’t wait until the last minute to plan your event and don’t just book the first entertainment company you come in contact with. Put in a little effort early on and devote some time to viewing all available options – we guarantee this will improve the outcome of your event. This entry was posted in Blog, Corporate Events, Holiday Parties and tagged Aces Up, Aces Up Casino Parties, Casino Parties, Chrsitmas Parties, Corporate Events, Corporate Parties, Holiday Parties. If there is one thing a host must do when throwing a party, it is to ensure that all of their guests have a great time. One way to do this is by planning an activity that everyone can participate in. This is especially important for events when people are meeting for the first time, such as conferences. An activity will enable everyone to get to know one another without having to suffer any awkward chit-chat. 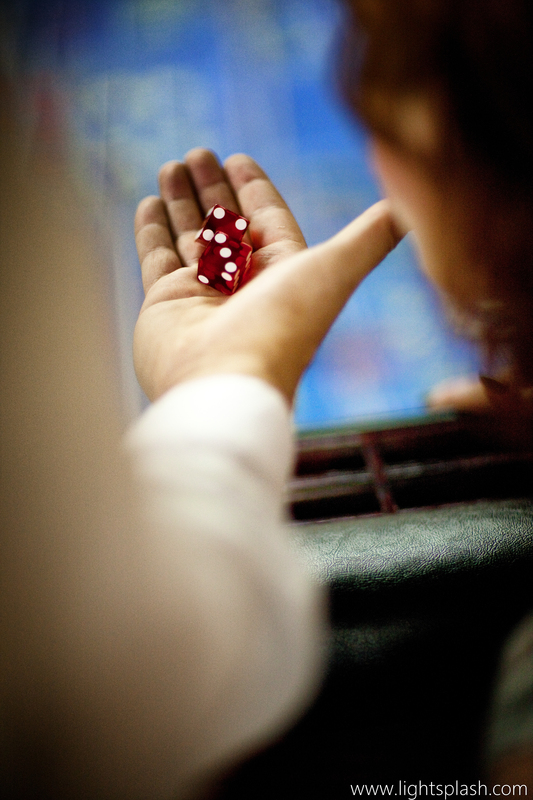 A casino party will enable your guests with a myriad of activities to choose from. Even the most inexperienced poker player will love a chance to sit at a poker table. You will find that your main job as a host has been fulfilled. To rent everything you need to throw a great party, contact Aces Up at (510)785-5923. This entry was posted in Blog, Corporate Events and tagged Aces Up, Aces Up Casino Parties. It’s hard to believe we’re already halfway through the year – 2015 seems like it has just flown by. Here at Aces Up, we have finally begun to slow down after a hectic first half…just in time to regroup, take a vacation or two, then begin preparing for the holiday season. Since summer is typically our slowest time of year, it’s a great chance for us to take a little break. Kevin just returned from an Alaskan fishing trip with enough halibut and salmon to feed a small country, Pat is off to New York in July to visit family, and Alex has weekend trips to Tahoe (his bachelor party), and Vegas (his brother’s) coming up. Other than that, our summers are typically filled with grad nights, birthday parties, poker tournaments, and the occasional fundraiser. Of course, we do weddings once in a while too! It’s a little non-traditional, but having a casino party at a wedding is a great way to ensure guests that don’t like to dance (and don’t necessarily know each other) can mingle and have a great time at the reception. If you haven’t visited our website recently – you may notice a couple of changes/additions. We have added a blog, for one (you’re reading it, although please bear with us as we build out the content!) If there’s something you’d like to hear us write about, let us know, but we plan to fill this space with information and advice on how to run events – fundraisers, corporate holiday parties, etc. In addition to the blog, we have added a regularly updated availability and discounts calendar to our Request a Proposal page – this will have specials added often, and will let you know about dates that are booking up or sold out. We definitely recommend checking the calendar if you’re planning an event, as you can receive as much as 15% off at times (for example – from July 22-28 with the Discount Code – 15offJuly). So what’re you up to this summer? Enjoy this beautiful weather and keep us in mind for your outdoor events! Have a great summer! This entry was posted in Newsletters, Private Parties and tagged Aces Up, Aces Up Casino Parties, Casino Parties, Casino Party, Outdoor fun, Wedding Entertainment. One of the most important aspects of throwing a party is making sure that your guests are entertained. What better way to be entertained than by bringing a bit of the Las Vegas life to them? Renting casino gaming tables and professional dealers can take care of theme and entertainment in one fell swoop. It is one theme that will guarantee your guests will have a night they never forget. 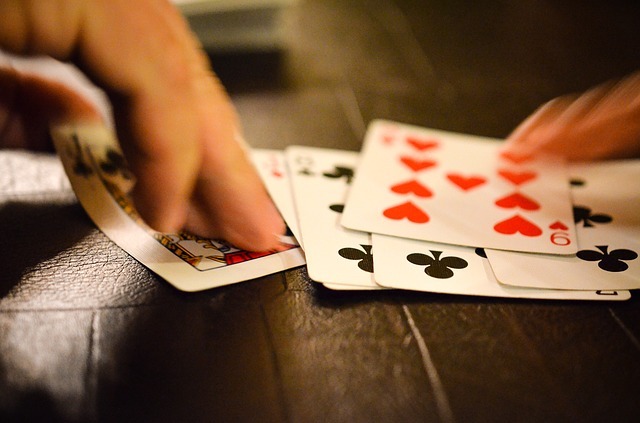 At Aces Up, we provide all the supplies you need to throw a great casino themed poker party. From gaming tables, to a bar and DJ, we have the elements you need to throw a great event. All you need to do is invite your guests! Request a proposal today or contact us at (510)786-8314. This entry was posted in Blog, Poker and tagged Aces Up, Aces Up Casino Parties, Casino Parties, Casino Party, Poker Parties, Poker Party.